We recently heard from a happy customer who found our Easi-Grip® knives had helped him return to work after surgery for Carpel Tunnel Syndrome. Harvey, a Chef Manager at a residential care home, found that his weak grip caused hand slippage from conventional knife handles when cutting and slicing foods. Conventional knives also caused pain in both hand and wrist; this made cutting difficult and sometimes impossible. Heavier items were difficult to hold and often dropped. He bought a set of Easi-Grip® knives https://peta-uk.com/shop/easi-grip-set-3knives/ and found the ergonomic handle a great improvement on conventional style handles. The thicker grip and angled handle enabled a firmer purchase and caused less strain to hand and wrist. Tasks can be carried out with much more ease, comfort and safety. 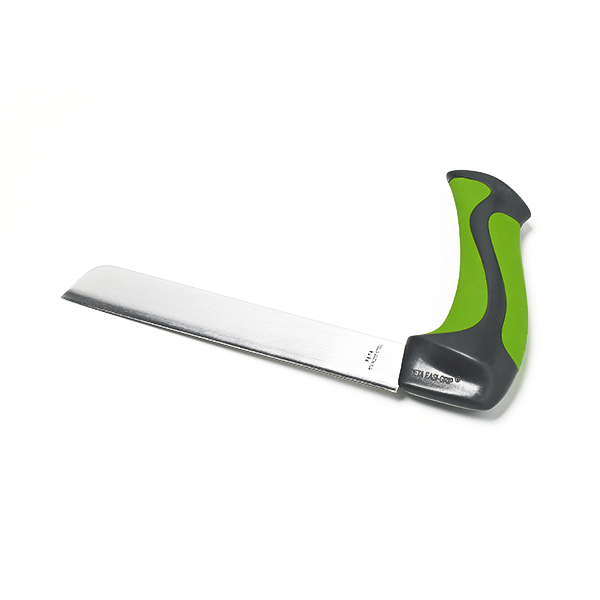 We are offering a 20% discount on Harvey’s favourite knife PKT2-CK https://peta-uk.com/shop/easi-grip-carving-knife/ so that you too can feel the difference. Simply quote TRY-CK20 at check-out to get the discount! We have a limited amount of stock available at this discounted price, so don’t delay – buy today! This makes evteryhing so completely painless.